Run entirely within Delaware's White Clay Creek State Park and White Clay Preserve, a 3,300-acre park spanning from the Pennsylvania border to the city limits of Newark, the Trail Triple Crown races take place on moderately hilly terrain in the park's mixed hardwood forest areas, along with streams and upland meadows. Mostly single-track trails, the course also includes sections of dirt roads and only a few hundred feet of pavement for road crossings. The Triple Crown Trail takes runners on a course that links four trail loops with short out-and-back trail connectors. Come well-trained and prepared. Post-race refreshments, and Survivors’ BBQ for all participants. The 13.1-mile circuit has 8 water/traffic control points, so you will pass each of these twice, plus the start/finish area at the midpoint of the race, for a total of 17 aid points. The start/finish area and one aid station east of the creek will have various snacks, but the other aid stations are planned to have water only. 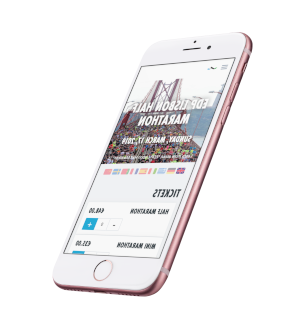 Finisher medals for all marathon survivors; commemorative Runnin’ Dawg coffee mug for Triple-Crown finishers and first 100 half-marathon finishers. Awards are for first-in-category only: M&F overall and master (40+) winners plus 1st places in 10-year age-groups. The course features elevation changes from 90 feet to 350 feet above sea level. 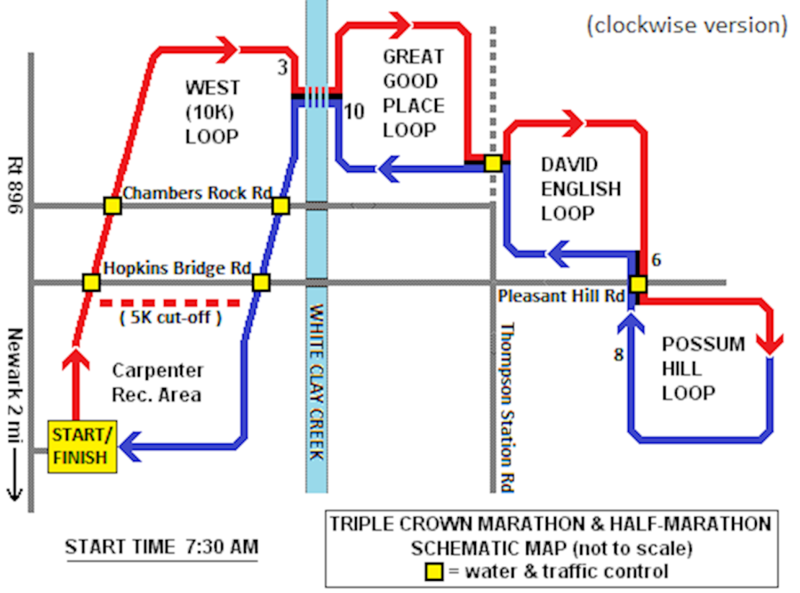 The half-marathon course fords White Clay Creek at about miles 3 and 10; marathoners will revisit this crossing at about miles 16 and 23. The water crossing is about 80 yards across, ankle- or calf-deep, and footing is slippery in spots.